Victory went to Montrealer Jean-Sébastien Besner, co-driven by Yvan Joyal in a Mitsubishi Lancer Evolution IX. This success, their fourth win in eight rallies that make up this year’s ECRC, allowed Besner to be crowned champion for a second time in three years. At the front for the entire duration of the event, and even overall winner of four of the rallly’s eighteen competitive stages, Besner/Joyal finished the rally with a lead of 5 minutes and 42 seconds over Olivier Martel and Vincent Hubert (Subaru WRX STI). 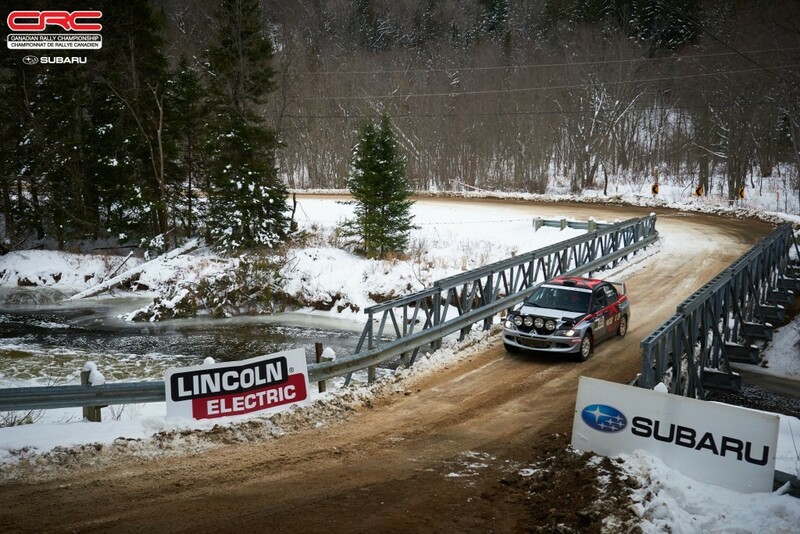 The latter duo, who started their rally careers this past February (at the season opener Rallye Perce-Neige) completed their rookie season in a fantastic way ! Martin Donnelly/Jonathan Desgroseillers (Subaru WRX STI) rounded out the Top 10 ECRC teams. Also noteworthy from this 2018 running of the Rally of the Tall Pines 2018 is that Karel Carré and Samuel Joyal earned this year’s Canadian championship title. In addition to Jean-Sébastien Besner/Yvan Joyal, 2018 ECRC overall and 4 wheel-drive champions and Philippe Benoît/Jonathan Desgroseillers winning 2WD, Laurens Wit claimed the drivers’ championship title in 4WD Production Class, as did Danny Hudon and Philip Barnes, co-champions in this class for co-drivers. In 2WD Production Class, Michael Ketchum (driver) and Jonathan Desgroseillers (co-driver) are 2018 champions.